Several thousand supporters of Russian opposition leader Aleksey Navalny gathered in the capital’s Bolotnaya Square demanding a recount of the results of Sunday’s Moscow mayoral election, which the politician claims were rigged. 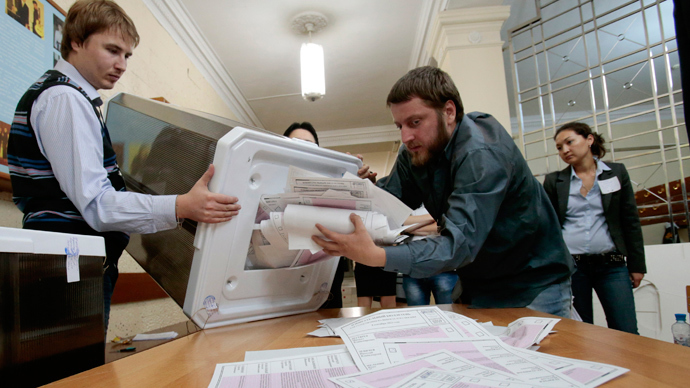 Kremlin critic Navalny came second in the race for mayor, receiving slightly over 27 percent of the votes. Acting Mayor of Moscow Sergey Sobyanin, a senior member of the ruling United Russia party, won the election with 51.37 percent of the ballot, clearing the 50 percent mark required to secure victory in the first round. 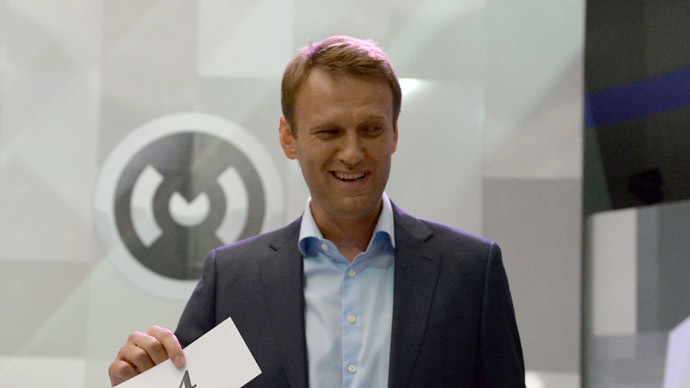 Navalny refused to recognize the outcome and demanded a run-off, saying that the results were achieved with violations and that Sobyanin actually received around 48 percent of the votes. 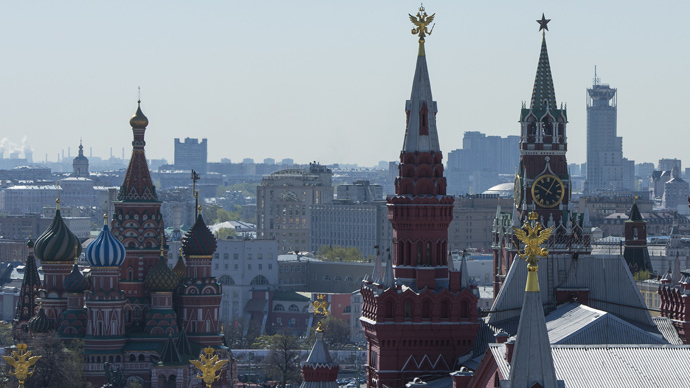 The 37-year-old lawyer, who is widely known as an anti-corruption blogger, also urged his supporters to take to Bolotnaya Square – known as the main venue for opposition events since the post-election protests in December 2011. Organizers of the event said they were fined for exceeding the maximum number of participants. 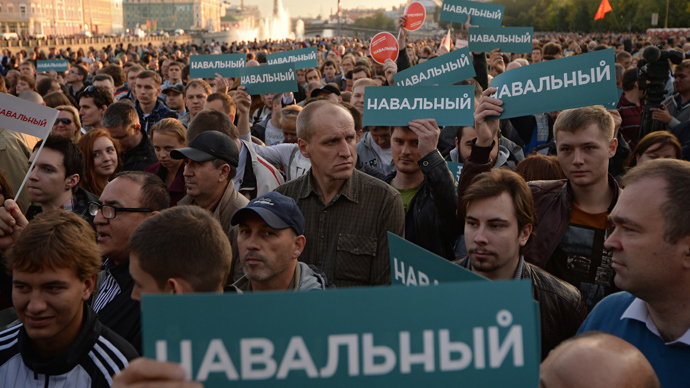 They initially agreed with Moscow authorities that the demonstration was not to have more than 2,500 protesters. Navalny addressed the crowd with what some supporters described on social media as the “best political speech” in Russia in 15 years. He said he was confident that a run-off would be held and stated that Monday’s gathering was a “victory” rally rather than a defeat. “I want to apologize to you, because every time I was asked if I believed in victory, I would say ‘yes, we can win these elections.’ But still, I had a thought that it was impossible…But now when I know that every third voter in Moscow cast their ballot for us, I am saying that it is a victory,” Navalny said. 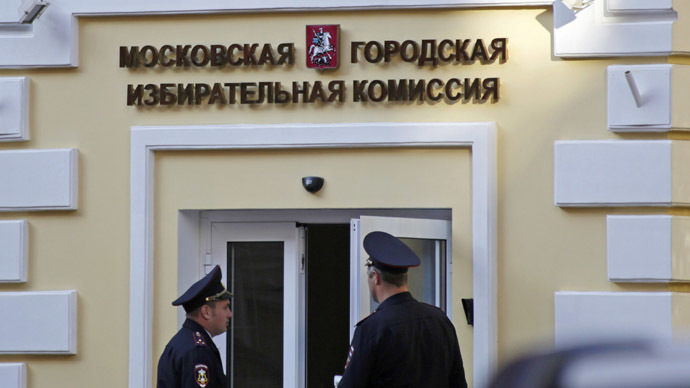 Head of the Moscow Elections Commission, Valentin Gorbunov, said earlier in the day that his office had not received any written complaints from Navalny’s campaign office regarding vote results. “Except for unfounded statements on widespread violations, there are no facts. Everything is general: ‘Let’s cancel everything,’” he told journalists, as quoted by Interfax. Monday’s rally ended peacefully, with no disorder or detentions reported.